After winning the NJF 2016 Fight Night last year, Rob van Heijst proved he is the best Dutch combat player by winning the Dutch Juggling Championships 2017 combat tournament. In the final he beat Dave Leahy for the first time in 5 attempts, a rivalry going back to 2014. Rob earned himself 250 rankings points, enough to climb two places in the FNC 52 Week Rankings to fourth overall. Bas Van de Kerkhof had his best ever Fight Night result, beating Jordy Sanchez in the third place match. 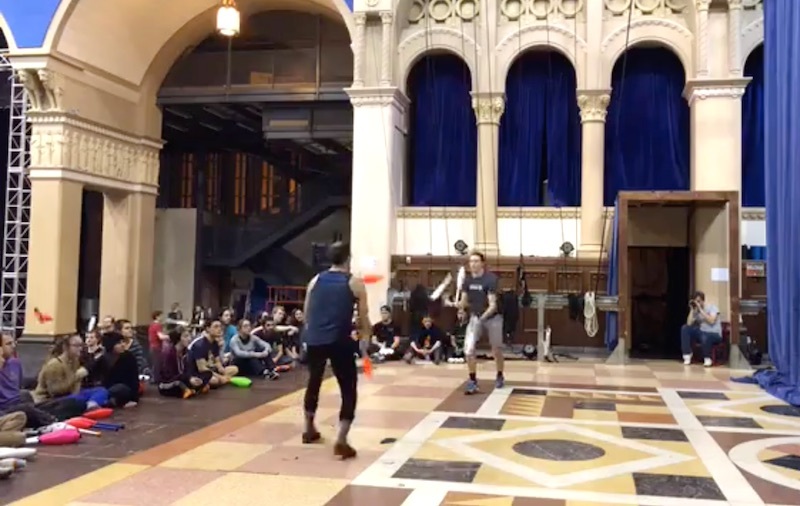 14 jugglers entered the tournament in total. 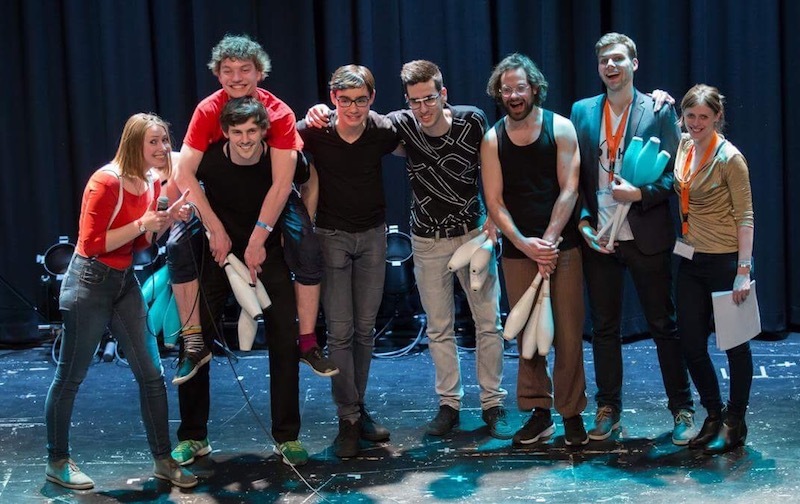 Over in Canada, TurboFest hosted its first ever Fight Night, and for all 24 jugglers who entered it was also their first ever Fight Night. 12 made it into the knockout rounds, but not top qualifier Rafi Benjamin. An injury in the volleyclub tournament meant Chase Henson took the top seed. Things didn't go according to plan for Chase, as he could only manage one knockout match win, ending up in fourth place after losing to Trevor Pearson in the third place match. Brian Koening was seeded second and backed that up by coming second overall. He was beaten 5-2 in the final by fifth seed Joe Showers. Joe earned himself 500 rankings points for winning the first National 500 tournament of the year. This puts him into first place in the 2017 Race Rankings, though as it's only the second week of January, he's got a long road ahead to stay there! Thanks to Melissa Staugaard and Leanne Staugaard for running the Dutch tournament and to Benoit Duinat for organising the TurboFest Fight Night (despite being injured in the qualifications and missing the finals). © Copyright 2018, Luke Burrage. All rights reserved.